Check out the All-Access Pre-show, 60 minutes prior to the start of the show, meet the performers, try on costumes and learn circus skills. All FREE with your ticket! My son and I have attended many Ringling Bros. shows over the years and they have been exceptionally fast paced and electrical. Last year's show contains tons of exciting acts, like the Cossack riders who performed some amazing horseback riding tricks, to the Shaolin Kung Fu Warriors who had me cringing when they broke oak boards and steel bars over their heads, to the crazy good dog tricks to the magnificent dancing Asian elephants, to the unbelievable tiger and lion act and the totally exciting motorcycle riders in the Globe of Steel (our favorite - see video above). 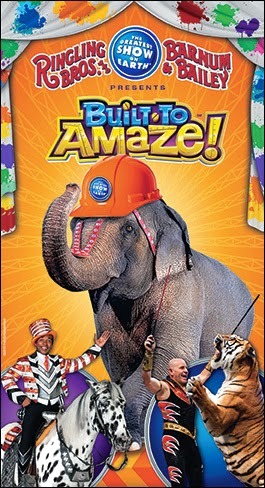 For more information on Ringling Bros. and Barnum & Bailey®, visit Built To Amaze! 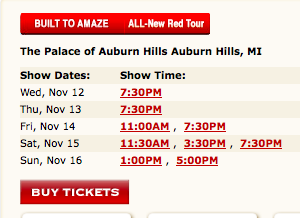 One (1) FREEISMYLIFE Metro Detroit reader will WIN 4 PASSES to the opening night perfomance of "Built to Amaze" at the Palace of Auburn Hills on Wednesday, November 12, 2014 - HOLLA!!! - The contest ends on Tuesday, October 21, 2014 at 11:59am EST. Random.org has spoken!!! Out of 159 entries, Random.org has picked #159. 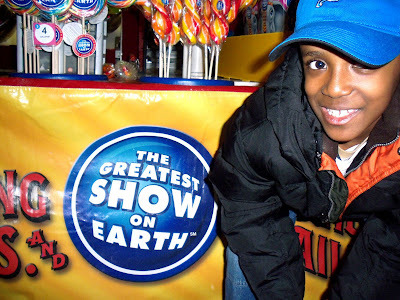 Congratulations to the winner of the 4 Passes to see Ringling Bros. and Barmum & Bailey "Build to Amaze" at the Palace of Auburn Hills - Sakinah H. of Southfield, MI!! !.